Farming was at the centre of ancient Maya life. 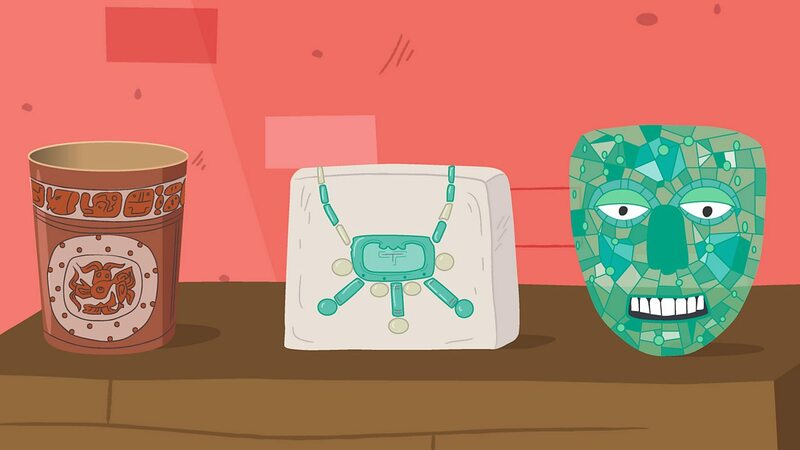 But these people are also remembered for other amazing creations, like their spectacular buildings and beautiful objects made from jade, a rare and valuable material. The ancient Mayas also invented groundbreaking ideas which have helped shape the way we live our lives today. For example, it’s thought that they invented the concept of 'zero'. This meant that they were able to do complex calculations, which allowed them to create very detailed and accurate calendars. They used these calendars for farming – perhaps that’s why they were so good at it! 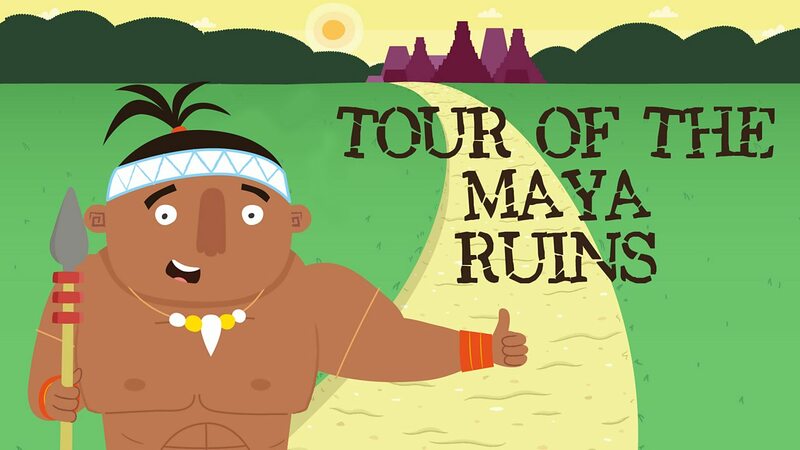 Take a look at some of the fascinating ancient ruins from around the Maya world. 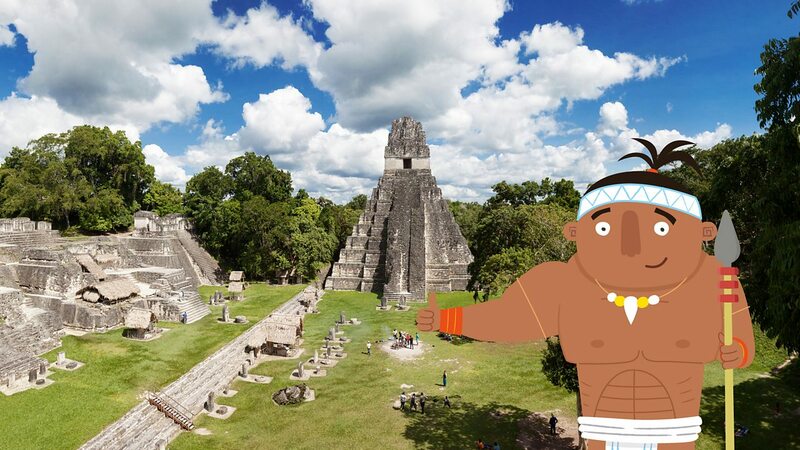 This is the city of Tikal. Many years ago it would have been called 'Yax Mutal' and was home to thousands of Maya people. 'Yax Mutal' was one of the most powerful cities of the ancient Maya. 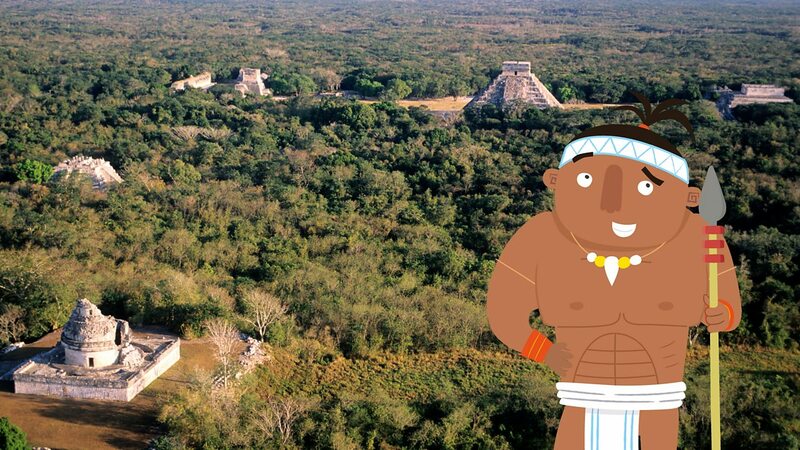 Here is a bird’s-eye-view of Chichén Itzá, one of the largest cities in the Maya world. Many people now consider it to be one of the Seven Wonders of the World! You are now standing in Palenque, which the ancient Mayas called 'big water' or 'Lakamha'. 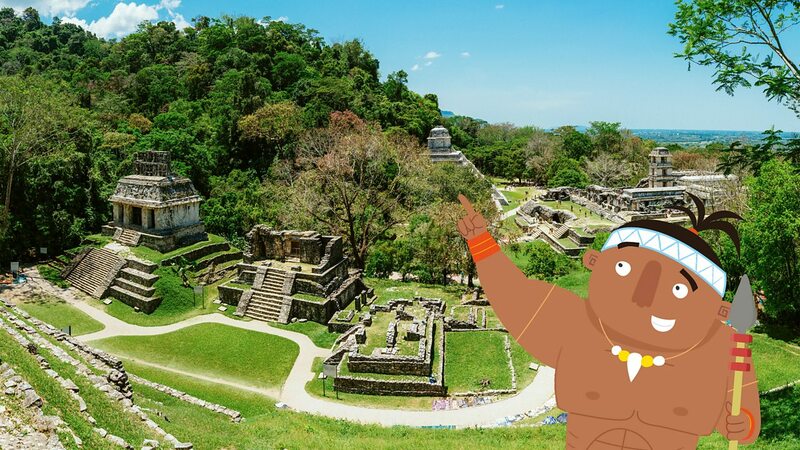 It’s smaller than Tikal and Chichén Itzá , but it was ruled by one of the most famous Maya kings: Pakal the Great. 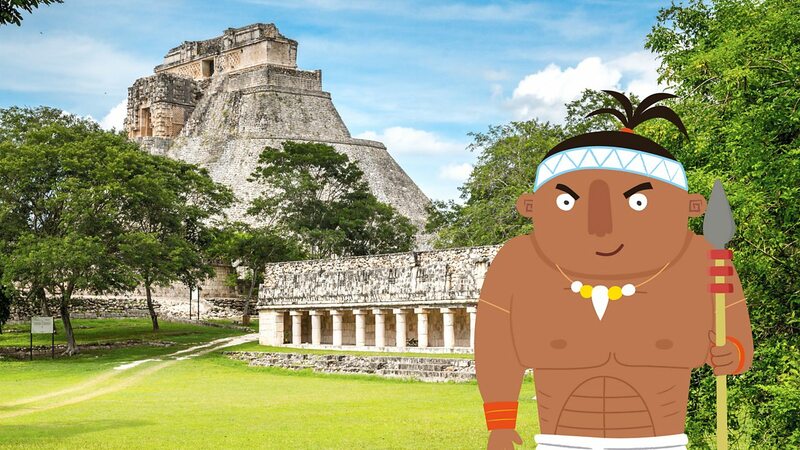 You’ve now arrived in Mayapan, one of the last great cities of the ancient Maya. Its name means 'flag of the Maya people', and it was the capital of a powerful union of states that eventually included Uxmal and Chichén Itzá. This is Uxmal. In the background, you can see the Pyramid of the Magician. It gets its name from many ancient myths. One myth tells of how the magician-god, 'Itzamna', built the pyramid all by himself in just one night! This is Copan! The ancient inhabitants of this once powerful city probably called it Oxwitik. Today, this area is inhabited by the Ch’orti’ people, whose language (also called Ch’orti’) shares many similarities with the traditional Mayan language. In the seventh century, this village was buried under ash when a nearby volcano erupted. The ash preserved buildings meaning we get a unique look at how ordinary people lived at the time. We call this village Joya de Cerén or Pompeii of the Americas! 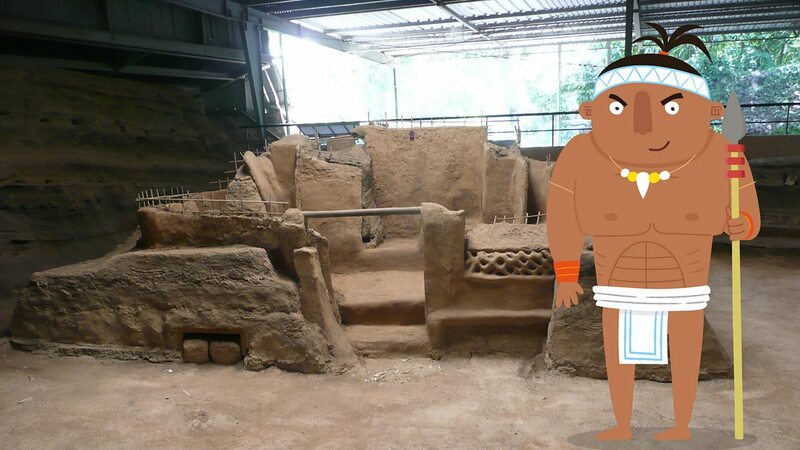 What happened to the Mayas? 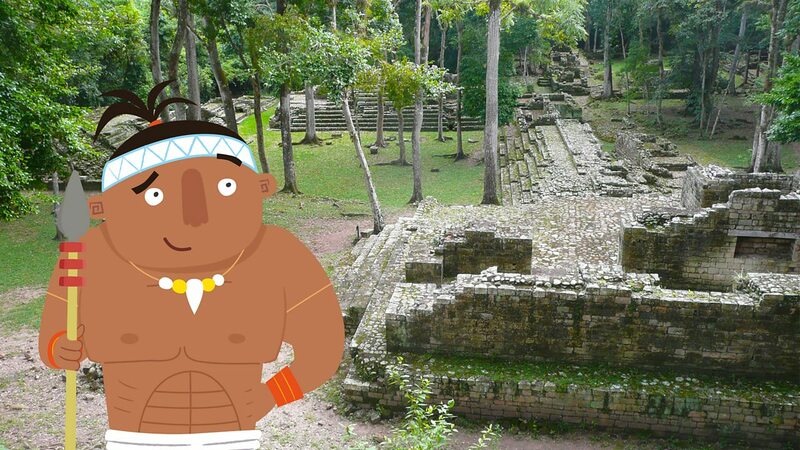 Who was Pakal the great?